Su-27 fighter belongs to the Russian Knights aerobatic demonstration team. 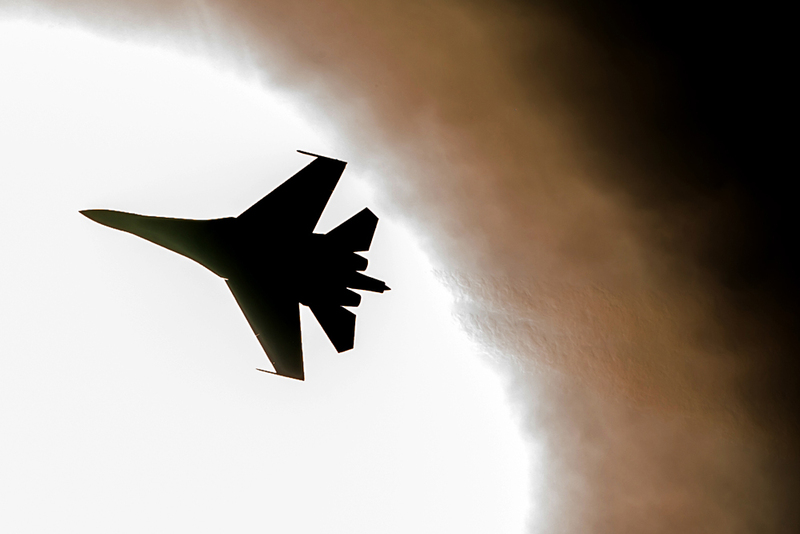 The crash of a Sukhoi Su-27 of the Russian Aerospace Forces killed the pilot; there is no damage on the ground, the Russian Defense Ministry's press service and information department told Interfax on June 9. "The pilot is dead; there was no ammunition onboard the plane. There is no damage on the ground either," the ministry said. The plane crashed at 10:25 a.m. Moscow time on June 9 while returning to base in the Moscow region from a routine flight, the Russian Defense Ministry said. "A Defense Ministry commission is working on the crash scene," the ministry said. Sukhoi Su-27 fighter belonging to the Russian Knights (Russkiye Vityazi) aerobatic demonstration team was on a mission involving six planes, a source with knowledge of the situation earlier told Interfax. "The Russian Knights aerobatic team was performing demonstration flights this morning during the unveiling ceremony of a monument to Russian Aviators in the village of Ashukino, the Pushkino district. While returning to the base near the village of Muranovo, one fighter crashed, and the pilot's fate is so far unknown," the source said. The Su-27 (NATO reporting name: Flanker-B) is a Soviet/Russian 4th generation multirole all-weather air superiority fighter.